We’d love your help. Let us know what’s wrong with this preview of The Creation by Edward O. Wilson. We have not met, yet I feel I know you well enough to call you friend. First of all, we grew up in the same faith. Although I no longer belong to that faith, I am confident that if we met and spoke privately of our deepest beliefs, it would be in a spirit of mutual respect and goodwill. I write to you now for your counsel and help. Let us see if we can, and you are willing, to meet on the near side of metaphysics in order to deal with the real world we share. I suggest that we set aside our differences in order to save the Creation. The defense of living Nature is a universal value. It doesn't rise from nor does it promote any religious or ideological dogma. Rather, it serves without discrimination the interests of all humanity. Pastor, we need your help. The Creation—living Nature—is in deep trouble. The Creation is E. O. Wilson's most important work since the publications of Sociobiology and Biophilia. Like Rachel Carson's Silent Spring, it is a book about the fate of the earth and the survival of our planet. Yet while Carson was specifically concerned with insecticides and the ecological destruction of our natural resources, Wilson, the two-time Pulitzer Prize-winner, attempts his new social revolution by bridging the seemingly irreconcilable worlds of fundamentalism and science. Like Carson, Wilson passionately concerned about the state of the world, draws on his own personal experiences and expertise as an entomologist, and prophesies that half the species of plants and animals on Earth could either have gone or at least are fated for early extinction by the end of our present century. To ask other readers questions about The Creation, please sign up. This is perhaps the best non-fiction book I've ever read. Ostensibly, it's an argument, an attempt to find common ground with fundamentalists in order to save the earth, but really it's a meditation on the universe and life on this planet. This book was not at all what I thought it would be. I totally understand and support the science behind what Wilson says. What bothered me was the way in which he says it. The book purports to be a call for unity, for "bi-partisanship," if you will, between Scientists and Religious Leaders. Wilson even addresses the beginning (and sometimes the end, and sometimes the middle) of each chapter to a nameless Pastor. Things start out well: Wilson suggests that they each put aside their thoughts on ho This book was not at all what I thought it would be. I totally understand and support the science behind what Wilson says. What bothered me was the way in which he says it. The book purports to be a call for unity, for "bi-partisanship," if you will, between Scientists and Religious Leaders. Wilson even addresses the beginning (and sometimes the end, and sometimes the middle) of each chapter to a nameless Pastor. Things start out well: Wilson suggests that they each put aside their thoughts on how the world was formed and how Man got to be the dominant lifeform (the roots of partisanship on this issue) and instead work together to preserve The Creation, this wondrous world around us that is falling prey to ever-increasing species extinction and habitat loss. Unfortunately, within the first few pages, Wilson goes out of his way to basically tell the Pastor that while he has agreed to disagree on the Origins of Life, the Pastor and his followers are wrong. I can easily see the audience for whom this book is intended -- those on the religious (especially fundamentalist Christian) side of the divide -- failing to make it past the first chapter as it becomes obvious that Wilson is not interested in agreeing to disagree in order to build a coalition to change policy and save the Earth -- what he wants is for the Religious to agree that his facts are right, their beliefs are wrong, and therefore they must come over to his side of thinking. I may be in the minority here, but I really do think it is possible to have a respect for the earth, to wish to turn the tide of species extinction and global warming, to be good stewards, and to still be devoutly religious. And I think Wilson hurts only his own ultimate cause by not allowing for that concept. As a world-renowned biologist and self-described “secular humanist,” Wilson calls upon leaders in the various scientific fields and in the widespread religious communities to put aside their differences and endeavor together to save the natural world. His chief aim is to open up dialogue, which is built upon optimism and mutual respect. He uses the curiosity of science and the intellection of religion as the basis for understanding the connection of humans to nature. He stresses the inherent nob As a world-renowned biologist and self-described “secular humanist,” Wilson calls upon leaders in the various scientific fields and in the widespread religious communities to put aside their differences and endeavor together to save the natural world. His chief aim is to open up dialogue, which is built upon optimism and mutual respect. He uses the curiosity of science and the intellection of religion as the basis for understanding the connection of humans to nature. He stresses the inherent nobility and necessity of protecting the planet as a moral choice to save ourselves. He examines the unfathomable diversity of life forms striving to survive in threatened habitats around the globe, and he also attests to the yet undiscovered bounty of species thriving within the Earth’s biosphere, most notably the microscopic legions of bacterium present in the smallest samples of soil and water. Pastor, I am grateful for your attention. As a scientist who has spent a lifetime studying the creation, I have done my best here to brief you and others on subjects I hope will be more a part of out common concern. My foundation of reference has been the culture of science and some of secularism based on science, as I understand them. From that foundation I have focused on the interaction of three problems that affect everyone: the decline of the living environment, the inadequacy of scientifi Pastor, I am grateful for your attention. As a scientist who has spent a lifetime studying the creation, I have done my best here to brief you and others on subjects I hope will be more a part of out common concern. My foundation of reference has been the culture of science and some of secularism based on science, as I understand them. From that foundation I have focused on the interaction of three problems that affect everyone: the decline of the living environment, the inadequacy of scientific education, and the moral confusions caused by the exponential growth of biology. In order to solve these problems, I’ve argued, it will be necessary to find common ground on which the powerful forces of religion and science can be joined. The best place to start is the stewardship of life. Within the framework of this unique approach, Wilson describes subjects already known to his readers: the importance of nature as our home, the destruction of nature by habitat loss, invasive species and other causes, and the love of nature (Biophilia). 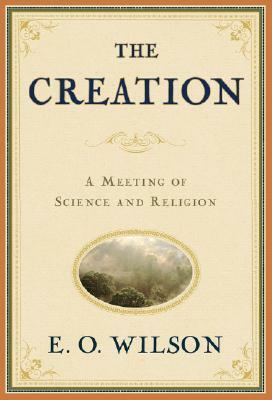 The Creation is a book long appeal for science and religion to find common ground and protect the natural world. I was recommended this book by a professer with a degree in soil or something...it sounded interesting. He told me I should rent it from the library, not buy it...but I love to write in books, so I looked all over and found it in a couple places for $20.00+. I wasn't about to spend that for a 170 page book...so I finally found it in a library. Anyway, it's pretty interesting. I was hoping it would be more along the lines of: these are specific examples of what we're doing wrong, now go change it I was recommended this book by a professer with a degree in soil or something...it sounded interesting. He told me I should rent it from the library, not buy it...but I love to write in books, so I looked all over and found it in a couple places for $20.00+. I wasn't about to spend that for a 170 page book...so I finally found it in a library. I heard Bill Moyer interview Wilson on a podcast the other day, talking about this book. Knew I had to read it. Sigh...the list just keeps on growing. This book appears to stem out of a singular frustration: why is religion often so at odds with preserving our environment, nature, the creation. E.O. Wilson, a secular humanist, pleads with a strawman "pastor" to join him in saving the creation we all depend upon. While he makes many an argument for evolution and the importance of biology, in the end, he appeals to this pastor that one's origin belief is irrelevant. We have an emergency (he largely focuses on mass extinction of countless species This book appears to stem out of a singular frustration: why is religion often so at odds with preserving our environment, nature, the creation. E.O. Wilson, a secular humanist, pleads with a strawman "pastor" to join him in saving the creation we all depend upon. While he makes many an argument for evolution and the importance of biology, in the end, he appeals to this pastor that one's origin belief is irrelevant. We have an emergency (he largely focuses on mass extinction of countless species, but others are referenced) and collectively, we need to address it, whether from a perspective of science or religion. Recomiendo este libro a todos los naturalistas de corazón, biólogos, ambientólogos, religiosos, etc. El libro está escrito como si fuera una carta a un pastor bautista. En esta carta E.O. Wilson, explica como la religión y la ciencia pueden luchar para salvar la naturaleza (la creación). El autor muestra que a pesar de que ciencia y religión tienen ideas opuestas en cuanto al origen de la vida o del universo mismo, existen algunas cosas en las que pueden unirse y trabajar por un fin común que se Recomiendo este libro a todos los naturalistas de corazón, biólogos, ambientólogos, religiosos, etc. El libro está escrito como si fuera una carta a un pastor bautista. En esta carta E.O. Wilson, explica como la religión y la ciencia pueden luchar para salvar la naturaleza (la creación). El autor muestra que a pesar de que ciencia y religión tienen ideas opuestas en cuanto al origen de la vida o del universo mismo, existen algunas cosas en las que pueden unirse y trabajar por un fin común que sería preservar la vida. El libro está dividido en 5 partes, las cuales se van complementando. Comienza definiendo a la naturaleza en desde un punto de vista biológico y religioso, de ahí pasa a la crisis de la biodiversidad. En la crisis, utiliza ejemplos muy interesantes de extinciones de insectos, invasión de especies de hormigas y muestra la importancia de las bacterias del suelo. Al final, da un panorama esperanzador de por qué cuidar los recursos con ejemplos concretos en EUA. Para los que son profesores, en el capítulo 14 da una serie de recomendaciones y principios de cómo enseñar la biología. Estos principios aunque van guiados por el método científico terminan siendo muy humanistas y haciendo que la enseñanza de la biología sea integrativa. Para mí un libro escrito desde el corazón de uno de los naturalistas mas honestos que he leído. Es de fácil lectura. Me gustó su narrativa y creo que los traductores hicieron un buen trabajo al mostrar el sentir del autor. Hay algunos errores de dedo en la edición española pero son mínimos. "La Tierra es un laboratorio en el que la naturaleza nos expone el resultado de innumerables experimentos"
"La profesión de naturalista no es una mera actividad sino un honroso estado espiritual"
I really liked this book. It was my favorite of the three E.O. Wilson books I've read so far. However, I agree with another reviewer that many religious individuals would probably reject this book wholeheartedly. While I don't think he means to, Wilson does sound extremely condescending when addressing the hypothetical pastor that this book is addressed to. Another problem is that he doesn't get into any religious-based reasons that Christians/other religious people should care about the environ I really liked this book. It was my favorite of the three E.O. Wilson books I've read so far. However, I agree with another reviewer that many religious individuals would probably reject this book wholeheartedly. While I don't think he means to, Wilson does sound extremely condescending when addressing the hypothetical pastor that this book is addressed to. Another problem is that he doesn't get into any religious-based reasons that Christians/other religious people should care about the environment (and you could definitely make the case that the Bible argues for good stewardship of the earth). I wanted to rate this lower because I already knew a wide amount of the information that was presented in this book. If I was going off of that I would have probably given it 3 stars but reflecting on the way the information was explained as well as the general communication techniques is was really won me over. E O Wilson has an excellent way of communicating science to the general public and specific groups that generally push back against the scientific community; especially on topics like cl I wanted to rate this lower because I already knew a wide amount of the information that was presented in this book. If I was going off of that I would have probably given it 3 stars but reflecting on the way the information was explained as well as the general communication techniques is was really won me over. E O Wilson has an excellent way of communicating science to the general public and specific groups that generally push back against the scientific community; especially on topics like climate change and funding conservation projects for endangered species. and scientist alike to pursue this knowledge. and of the terrible tragedy this represents, I did not need Wilson's persuading. work that angle as apparently Bishop Spong does. also a hallmark of Leopold's writing, and of the aforementioned Bishop Spong's. attachment to this world is abandoned. There is an inner equilibrium and calm. It has been described as the experience of saintliness." take our combined efforts to push us back into stability. well-being of your fellow creatures on this God-given Earth. Another compelling read by one of my favorite science writers, this time in the form of a passionate letter to evangelical leaders to join in the movement for the conservation of biological diversity. The title was of course chosen to appeal to the evangelical community, but is not meant to imply a creator but rather seeks to find common ground between humanists and evangelicals. Beautifully written call to action towards religious leaders to help prevent the continued loss of Earth's biodiversity. Amazed at how passionate this man is about this subject without getting preachy about it. Would definitely recommend to that religious person you know. Beautifully written in the form of a letter, appealing to the morality of religious folk in getting them to see why the fight to save the planet should matter to them! 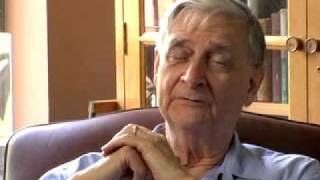 The apparent lack of concern of the religious for the state of this world has always niggled at me a little, and it seems that it also preys on far greater minds than my own, judging by E O Wilson's decision to frame his "appeal to save life on Earth" with the device of a letter to an unnamed Southern Baptist Pastor. A straw-man, of sorts, but one based on Wilson's own experience of growing up as a Baptist in the Southern USA, and one that explicitly calls on the spirit of Southern Hospitality t The apparent lack of concern of the religious for the state of this world has always niggled at me a little, and it seems that it also preys on far greater minds than my own, judging by E O Wilson's decision to frame his "appeal to save life on Earth" with the device of a letter to an unnamed Southern Baptist Pastor. A straw-man, of sorts, but one based on Wilson's own experience of growing up as a Baptist in the Southern USA, and one that explicitly calls on the spirit of Southern Hospitality to allow scientist and minister to put differences aside and discuss what needs to be done. Wilson's argument is essentially that together, scientific rationality and religious faith are an unstoppable force that can oppose humanity's tendency work against nature (Wilson treats this as a biological original sin). The reason that this is necessary is an extinction event to rival the one that killed the dinosaurs - one that is already underway, and caused by humans. Habitat loss, invasive species, pollution, and overharvesting, all caused by human overpopulation, and with the cumulative impact of a meteor strike. Unfortunately, I suspect that for many a religious leader brought into a coalition to save the creation, it would be the population element that would prove the sticking point. Stripping away the conflation of American Christianity with secular values of economic growth and the free market - the Fox News/Tea Party approach that makes an ideological requirement of opposing anything "green" - we are left with the command to multiply that far too many Christians (and other religions) see as central to their faith. Wilson, however, avoids fighting this fruitless fight directly and instead focuses on what could be lost - and, with a nod to the business-minded, a summary of the costs of replacing lost biodiversity with advanced science versus those of conserving what we still have. With conservation established as the only solution, his argument is that it is the responsibility of humanity to bring as many species through the "overpopulation bottleneck" - the height of human population growth before our numbers begin to fall - by fighting to conserve biodiversity hotspots. As the book goes on, however, the tone shifts from saving species to redeeming humanity - encouraging all, and especially future generations, to become naturalists (which Wilson sees as the default mindset of all children, though starved by the inadequacies of society and education). Pointing to examples of "citizen science", such as the "bioblitz" events cataloguing species in a given area, he shows how much can be accomplished by enlisting the public as amateur scientists, and how rewarding for the individual and society this can be. Throughout all of this runs Wilson's own love of nature. An entomologist whose great love is ants, he fills the book with accounts of the extraordinary behaviours of the many, many ant species (whose total biomass is equal to humanity, and whose total numbers are estimated at ten thousand trillion individual ants) and other insects, alongside other creatures from wolverines to tardigrades. All of this detail serves as a constant reminder of how high the cost will be if the great extinction proves to be as bad as predicted. I had high hopes for this one, given the original recommendation I received, and it seemed particularly timely to look for an appeal to the religious side to get involved in conservation. Sadly, I'd give it only 1-2 stars for accomplishing its intent, while the writing itself gets 4 stars. Apparently Wilson's idea of "finding common ground" is that the religious side should acknowledge they are wrong and embrace science for the good of all humanity. Aside from beginning each chapter addressing a I had high hopes for this one, given the original recommendation I received, and it seemed particularly timely to look for an appeal to the religious side to get involved in conservation. Sadly, I'd give it only 1-2 stars for accomplishing its intent, while the writing itself gets 4 stars. Apparently Wilson's idea of "finding common ground" is that the religious side should acknowledge they are wrong and embrace science for the good of all humanity. Aside from beginning each chapter addressing a fictional "Pastor" and making occasional (rather condescending) references to God or the possible youngness of the Earth, he makes zero attempt to frame this for a religious audience. The book is written the way a scientist _wishes_ it were possible to convince any audience to take action: if only we present the facts in a compelling enough way, surely they will come to understand the urgency of the situation, realize the error of their current thinking, and choose to come around to the rational conclusion that they must take different action. Honestly, it's not even a good framing for a friendly audience, let along a potentially hostile one. If the book weren't so short, I would have put it down after the first few chapters -- the last thing I need right now is a multi-chapter litany of all the ways humans are destroying the planet. E.O Wilson targets a tough crowd: Fundamentalist Southern Baptist Christians. The subject matter of this book is very personal to me as a current Environmental Science major who doubles as a Christian. Despite the wide-scale, increasingly consequential beatings the environment has received in the past 50 years, it has never made an appearance on the prayer request list in my local Baptist community. "Environmentalism" seems to be a taboo word on it's own without "climate change" and "tax increas E.O Wilson targets a tough crowd: Fundamentalist Southern Baptist Christians. The subject matter of this book is very personal to me as a current Environmental Science major who doubles as a Christian. Despite the wide-scale, increasingly consequential beatings the environment has received in the past 50 years, it has never made an appearance on the prayer request list in my local Baptist community. "Environmentalism" seems to be a taboo word on it's own without "climate change" and "tax increases" accompanying it. I've had countless, frustrating conversations with pastors and church leaders about the extreme relevance of environmentalism and received a scale of answers ranging from "God made man the steward of creation to use and rule" to "Perhaps the environmental crisis is necessary to the progression of the End Times and there's nothing to do but move along." I'm constantly looking for ways to reconcile my religion and my passion for the natural world so that I don't become completely discouraged from pursuing a career path in environmentalism or losing my faith altogether. So I picked up this book. E.O Wilson suggests that science and religion are the two most powerful forces in the U.S and if united on the common ground of biological conservation, the problem of environmental degradation will be solved. Now, I definitely believe science and religion can coexist. And even harmonize. But I'll admit that I don't know exactly how. And unfortunately neither does E.O Wilson, despite his zealous claims. This book made some great points about the fundamentals of biology, naturalism and how it connects to human nature. I admire Wilson's enthusiasm toward the animal and plant kingdom, including the less appreciated insect critters. Wilson was also respectful and not antagonistic at all to his Southern Baptist recipients. But he fails to actually "appeal" to Christianity! He might as well have written this book to the general public. As it is his area of expertise, Wilson is a little heavy in statistics and bio jargon, basically yelling through the mouthpiece of a biologist. He didn't approach any common ground between science and religion, he actually emphasizes it with blunt arguments for evolution and secularism. Which isn't a falsehood, but if you're addressing this to a freakin Southern Baptist pastor, you're going to need to carve your arguments eloquently. Written by one of the most respected and accomplished biologists of our time (one of Time magazine’s most important people of the 20th century), The Creation is written as a letter from Wilson to a fictional member of the clergy, Pastor. It is an appeal for science and religion to put aside differences and work together to save The Creation (Earth, life, the biosphere…). There are lots of facts relating to biodiversity and the rapid loss of it since the agricultural revolution. His main argument Written by one of the most respected and accomplished biologists of our time (one of Time magazine’s most important people of the 20th century), The Creation is written as a letter from Wilson to a fictional member of the clergy, Pastor. It is an appeal for science and religion to put aside differences and work together to save The Creation (Earth, life, the biosphere…). There are lots of facts relating to biodiversity and the rapid loss of it since the agricultural revolution. His main argument / talking point is that humanity should be ascending toward nature instead of away from it as the majority of humanity has been doing. Wilson, raised as a southern Baptist in Alabama, hopes to take advantage of the common goals of religion and science (stewardship, humanity) to reverse damages to the Earth. He clearly outlines what he thinks needs to be done and how it can be accomplished. His writing is easily understood and he has a gift for simplifying scientific ideas for the comprehension of those not familiar with them. I would definitely recommend this book to anyone. Anyone interested in the ‘teaching of evolution vs. intelligent design’ debate should particularly read the last chapter (165-168). I wish I were smart enough to share my thoughts on the topic that clearly. I also love that he always capitalizes the word Nature. My only complaint, which is both personal and petty, is that for me, someone who has studied and taught these topics, I wished he would have gone deeper, although I realize that would be self-defeating in this book. Great read that left me feeling very positive and excited to get back all of our childhood roots of finding endless joy and wonder in Nature. Understanding the biological diversity of life on Earth should not be the exclusive province of a few (the Ph.Ds of our university zoology departments, namely). E.O. Wilson has made a career of two things: entomology, which is less accessible, and transmuting his love of the natural world into tomes imploring the average person to a sociobiological ethic. He does this most effectively when his books are barren of any appeals to the supernatural. "The Creation" has magical moments, but Wilson succ Understanding the biological diversity of life on Earth should not be the exclusive province of a few (the Ph.Ds of our university zoology departments, namely). E.O. Wilson has made a career of two things: entomology, which is less accessible, and transmuting his love of the natural world into tomes imploring the average person to a sociobiological ethic. He does this most effectively when his books are barren of any appeals to the supernatural. "The Creation" has magical moments, but Wilson succeeds when he gives us a glimpse into the minutiae of rare and beautiful species, ones whose worlds have come unraveled with human interference. It is these portraits that can captivate even a frigid human heart. "The Future of Life" was profound and moving in this way. "The Creation" is instead an appeal to an incompatible mindset: the generic Christian pastor. Each chapter is preceded by supplications to the Christian worldview, with much (and I do paraphrase) "though we may disagree [that proof and disavowing bronze age myths about human sacrifice is an important intellectual step to make], we can both agree that saving the world's biodiversity is important. Maybe Jesus would have wanted it." Of course, I have coarsened his moderation, but the heart of his entreaty is the same. And he flits in and out of this obeisant role -- especially disheartening when he gets on a roll. This eminent entomologist's place in history is secure, and he has incredible skill with his prose. Such an ability to bring to life the rarified species and ecosystems of our little planet, so complex and so incompletely understood, is a gift he could put to better use with infusing his books with more cold hard truth: reason and faith are at gross odds. No conversation about ethics can progress until venerated old superstitions, which vaunt humanity and relegate the natural world to subservience, are long gone. E. O. Wilson is very clear on the intent of the book: make an argument to religiously-minded people that nature is amazing and beautiful and in dire need of our protection and wise stewardship. Secular scientists and God-followers should overlook their differences, find common ground and fight together to protect our special home. Wow, that’s a great idea! Unfortunately, Wilson’s effort is a jaw-dropping failure for delivering that message. While the book does a reasonably okay job on the “Wow, E. O. Wilson is very clear on the intent of the book: make an argument to religiously-minded people that nature is amazing and beautiful and in dire need of our protection and wise stewardship. Secular scientists and God-followers should overlook their differences, find common ground and fight together to protect our special home. Wow, that’s a great idea! Unfortunately, Wilson’s effort is a jaw-dropping failure for delivering that message. I was first introduced to the work of E.O. Wilson in an animal behavior class in college. Called the "Father of Sociobiology", his work has at times come under fire, but this work is fabulous. Wilson writes a letter to a Baptist pastor about why the environment with all its ecosystems must be allowed to exist and regenerate. Wilson was not as pessimistic as some of the authors I have read, so I'm not quite as hopeless feeling as I was after reading Hot, Flat and Crowded by Friedmann. Also, the l I was first introduced to the work of E.O. Wilson in an animal behavior class in college. Called the "Father of Sociobiology", his work has at times come under fire, but this work is fabulous. Wilson writes a letter to a Baptist pastor about why the environment with all its ecosystems must be allowed to exist and regenerate. Wilson was not as pessimistic as some of the authors I have read, so I'm not quite as hopeless feeling as I was after reading Hot, Flat and Crowded by Friedmann. Also, the last few chapters dealt with questions concerning the importance of Biology and why and how it should be taught. This is something I needed to read. You'd think I would know its importance as a Biology teacher, but truthfully, in the last few years, I have let its importance slip down to this: Biology is important because it has a state mandated End of Instruction test! Wilson says: Every conservationist with who I have discussed the subject agrees that the general indifference of people to the living world is the failure of introductory education in biology.